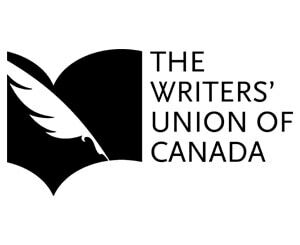 The Writers' Union of Canada announced on Monday that they will be the soon be the second writer's organization to accept self-published authors as members. This decision, which has been under debate since long before it came to my attention in May 2013, was recently voted upon by TWUC members. For the past 3 weeks the union has been holding an online referendum, and nearly 4 out of 5 members voted in favor of amending the union's bylaws to allow qualified self-published authors as new members. 79% of the votes were cast in favor of the idea, with 18% cast against and about 3% of the voters choosing to abstain. The question required at least a 67% majority to pass, and since it passed by a considerable margin the next step is to draft an amendment to the organization's constitution. That is scheduled for the next general meeting, which is going to be held in Newfoundland in May 2014. The Writers' Union of Canada is joining the Authors Guild in accepting self-published authors, and while that sounds like good news I think it might be too early to celebrate. You see, they're only going to accept quote unquote qualified self-published authors. What exactly does that mean? Self-published books presented by authors applying to join the Union must demonstrate commercial intent, and must be peer reviewed before being forwarded to the membership committee of the Union for approval based on existing criteria. The full step-by-step procedure for assessment of self-published books will now be developed, and will be launched by the Union’s Membership Committee at the time of the constitutional change. At this point it is too early to predict how this will turn out, but it bears watching.